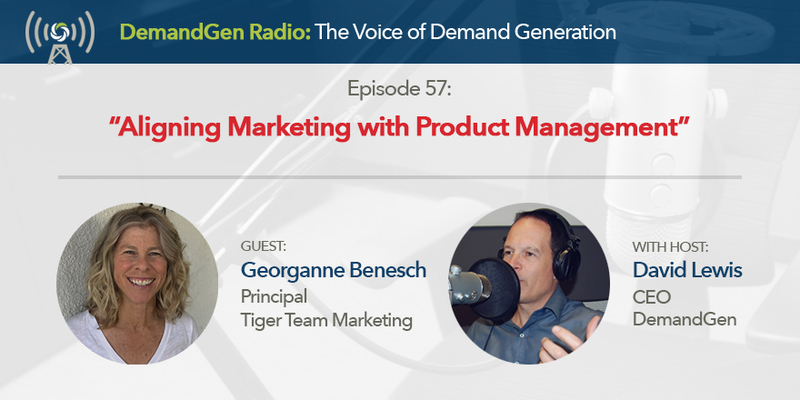 Georganne Benesch built her product management career at notable tech companies such as entrepreneurial start-ups like Netopia and industry giants such as Cisco. She has over 30 years of experience leading product and marketing teams in the development, launch, and sales ramp of some of the most innovative and market leading products that have come out of Silicon Valley. Georganne and I had the pleasure of working together during my 9.5 year tenure at Netopia where I ran Marketing and she led the product team. I always valued the collaboration and alignment between our two teams so we reunited and I invited her on to the podcast to have her share her insights around the collaboration needed between product and marketing.